Meetings, Handling Meetings Efficiently. Are Your Internal Meetings Wasting Time? Internal meetings are those meetings which are attended mainly by internal staff. Such meetings are generally held to discuss issues like production planning, falling sales etc. Such meetings account for more than 60% of the meetings that are held in any organization every year. Given the time spent in such meetings it is necessary to ensure that internal meetings are held efficiently. Wasting precious time in meetings that lack focus or drive, are good sufficient reason to send a few managerial heads rolling! In this management related article, we discuss issues related to internal meetings, and find ways to make them more effective. Meeting objective: This is the most important component of any meeting both internal and external. Every single person attending the internal meeting should know the objective of the meeting. If you were going to discuss salary reduction in a meeting, let everybody be clear about this objective. With clear objectives your meeting is more likely to be efficient. Any meeting called or attended without a clear defined objective is a waste of company time. Calling a meeting: There need not be a clear cut rule of who can call a meeting but, it is necessary for every internal meeting to clearly state the name of the person calling the meeting. In most cases, this would also be the person defining the objective of the meeting. Who attends: Many internal meetings work on the belief that 'the more the merrier'! Sadly this is not good for the organization. The person calling the meeting and the objectives defined for the meeting, would together give a fairly clear idea of who should be invited for the meeting. If the Vice President Marketing, wants to call a meeting to discuss falling sales, it is sufficient for the Product Sales Managers to attend. Sales supervisors need not attend the meeting. The Product Sales Managers can have their own internal meeting along with Sales Supervisors and take the related issues to the meeting called by the Vice President. When too many people attend a meeting, there is a strong of departmental work suffering. With no managers left in the department, decisions and work flow are bound to be disturbed. Such meetings also melt into blaming games, where everyone tries to find someone else responsible for the problem at hand. Meeting preparation: Everyone needs to come prepared for the meeting. For this to happen, everyone needs to know the objective of the meeting. This will allow all participants to come prepared with relevant material to be presented in the meeting. The Sales Manager wants to discuss the problem of quality defects with the Quality Control Manager. The Sales Manager should communicate this clearly to the Q.C Manager. It might be a good idea to give specific references to product orders or customers that had quality issues. When this is done, the Quality Control team can provide their manager with relevant facts and figures to carry to the meeting. If this is not done, the lack support information will make the QC Manager waste much of his meeting time. No disturbance: Once the meeting commences, make sure that no calls, faxes or even humans distract the people attending the meeting. We have come across pretty secretaries gliding into meeting rooms with expense vouchers that were less than 10$ to be signed by the manager. The sickest distraction of a meeting can be a sweet telephone operators voice telling the big boss in the meeting, '... sir your wife on the line sir...'. This might be okay if the wife had just crashed her car on the highway, but surely not justified if the wife wanted to tell the boss just how much she missed him! Review last meeting: For organizations that have weekly or monthly meetings, continuity is very important. Start each meeting with a brief discussion on the last meeting. For example, the last meeting could have decided that the administrative department needs to increase the quality and number of security cameras on the factory premises. In the current meeting, make it a point to allow the administrative manager to explain the progress of the work. You will be surprised to see that many projects are shelved due to lack of fund allocation. The meeting that agreed to increase security cameras on the premises, did not get clear communication from the Finance Department or vice versa. There is no point in rushing forward with new meeting agendas when follow ups for past meetings is absent. Punctuality: This applies to everyone, the most senior person attending the meeting should set a good example. The production meeting is called for 10am, 20 people are invited and informed regarding the time and place. 2 people arrive by 10am, another 5 people make their arrival at 10.20am. The remaining people come in at 10.35am but the senior manager does not turn up until 11am. So you have 19 people in the meeting room some waiting till 11am, some having come in as early as 10am. If it is a 1 hour meeting, the party would finish at 12 noon when it should have been over and wrapped up at 11am! If you add up all the time lost for all the people waiting in the meeting, it would add up to around 6 to 8 hours. Now THAT is one whole woring day for a person in your company. This presuming that the meeting which finally took off at 11am was efficiently conducted. Unfortunately, most meetings in companies work in this style. Punctuality is of prime importance, time is money was a corporate cliche. But when it comes to time wasted in meeting rooms, no one really cares. Meeting duration: Once again no hard and fast rule can be set here but, any manager worth even half his salary should know when a meeting is drifting into oblivion. You have called a meeting to discuss the slow speed of company data servers. If the talk in the meeting moves to your daughters school work load or, someones bad experience with the new company receptionist, you know that you are firmly in the 'wasted' time zone. If it is necessary to take up a new issue in the same meeting, schedule that issue for the end of the meeting. You can then complete the planned meeting and relieve the participants who are not related to the new issue that is to be discussed. Blame meetings: Such meetings are a waste of time right from the moment they are called. There is a delay in the supply of assembly parts, production is going beyond schedule. Don't go chasing or blaming the clerk who forgot to make the purchase order, sack the Vice President Purchases instead. There were no checks put into place in that department, no cross checking to ensure sure production. If all this was the duty of the Purchase Clerk, why was the V.P Purchase hired in the first place? Record the proceedings: At the end of each meeting document the main issues discussed and the decisions taken. Make sure that everything that needs to be done has a person or group of persons clearly mentioned as being responsible. It is also a good idea to fix a time schedule for each task to be done. The task could be broken into smaller time slots, so that weekly or monthly progress can be assessed. It is better than waiting for the end of a 6 month task and then knowing that nothing has been done. A copy of the meeting summary should go to everyone who attended the meeting. Remember to start the next meeting by first giving a small time slot to the summary report of the previous meeting. There is no simple or single formulat to make internal meetings efficient. The people calling and attending the meeting should be able and willing to review such meetings and introduce measures to make them more efficient. The health benefits of eating almonds are well known. It is important almonds the right way to optimize the health benefits provided by them. 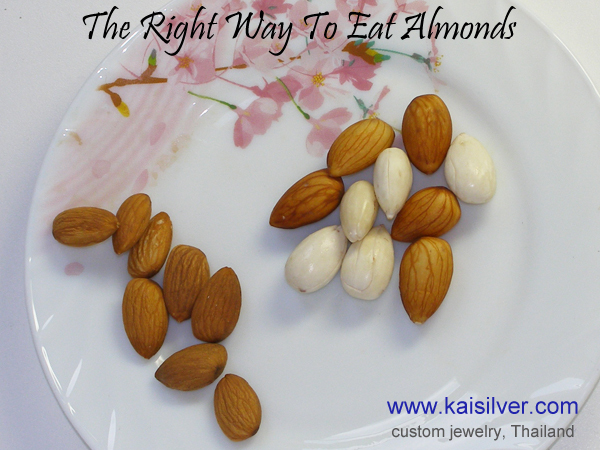 Should you soak your almonds, are they better eaten with or without the skin ... more. 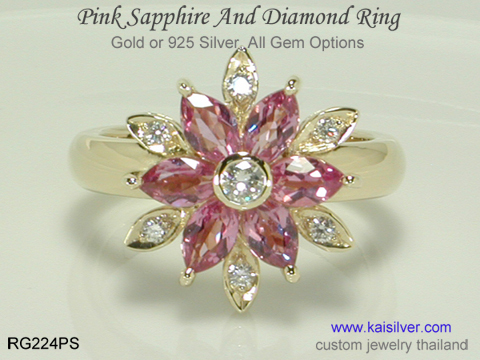 Sapphires are gorgeous, they are durable and they are colorful. It was once thought that all sapphires are blue but, we know know that this rare gem is found in a whole array of colors. A Sapphire is perfect for an heirloom jewel, this is why ... more.